A deadly virus, a top-secret research programme and 90 minutes to save the world from losing control of their minds. Step into the midst of an undercover spy operation. Your team of secret agents have been handed classified information about Spider Tech, the company behind a top-secret research programme that, if successful, will give them the power to control the human mind. Spider Tech have leaked a dormant but deadly virus into the global water system. In just 90 minutes time they will activate the virus from their secure HQ servers in Fremantle and gain control of the world. 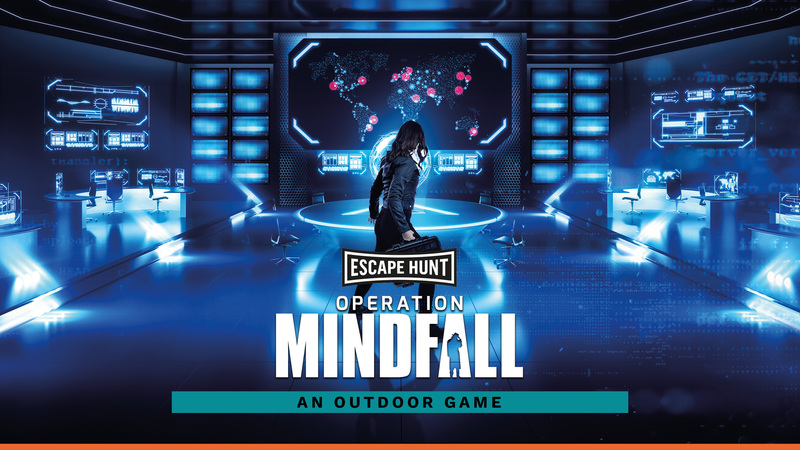 Under the code name Operation Mindfall, your team must find the anti-virus and destroy Spider Tech’s servers. Pressure from foreign governments is mounting, the clock is ticking and the fate of the world rests in your team’s hands. Once you arrive for your mission you will be set up with an iPad and action pack. After the safety briefing you will be given your assignment and the clock begins. Don’t forget, after 90 minutes it’s game over. You’ll then head back to HQ for an optional debrief in our premium lounge. In cooperation with CLUETIVITY® (www.CLUETIVITY.com).